Marathi is an Indo-Aryan language spoken predominantly by around 83 million Marathi people of Maharashtra, India. It is the official language and co-official language in the Maharashtra and Goa states of Western India, respectively, and is one of the 22 scheduled languages of India. 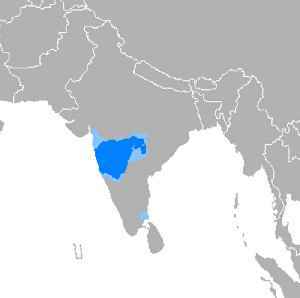 At 83 million speakers in 2011, Marathi ranks 19th in the list of most spoken languages in the world. Marathi has the third largest number of native speakers in India, after Hindi & Bengali. The language has some of the oldest literature of all modern Indian languages, dating back to around 900 AD. The major dialects of Marathi are Standard Marathi and the Varhadi dialect. Koli and Malvani Konkani have been heavily influenced by Marathi varieties. In the coming academic year, 75 Marathi medium schools across Maharashtra will start MIEB board.